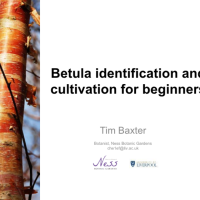 This Tree Forum Day was led by Ness Botanic Gardens staff and focused primarily on the identification of birches and their allies, with discussion of propagation, cultivation and Betula conservation. 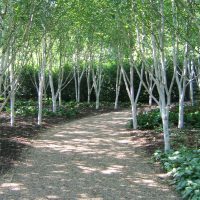 The day included a tour of the extensive Betula collection at Ness, studying their uses in a variety of garden settings and the cultivation of Betula and different subgenera (Nipponobetula, Aspera, Acuminata and Betula). Attendees were encouraged to bring along samples for identification.